The Grammy Award categories for the upcoming year have been pared down to 78 categories from 109, and one of those that lost out was the Best Zydeco or Cajun Album award. was part of the now heavily reorganized American Roots Music field. That field will now feature a Best Regional Roots Music Album award, which will likely take on any nominations of Cajun or Zydeco albums. 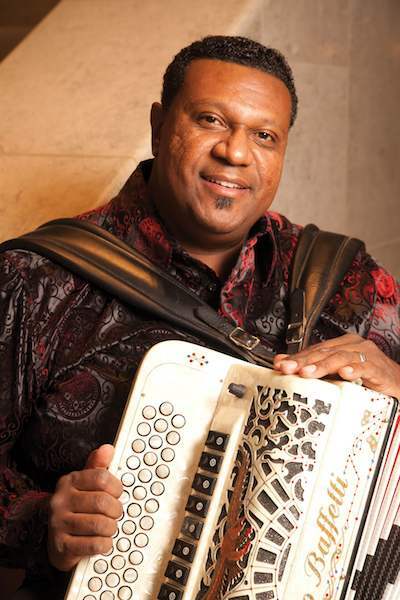 The Zydeco/Cajun award was only given out in the past four years, having been created for the 50th Grammy Awards in February 2008 after a long, hard-fought grassroots campaign led by Cynthia and Terrance Simien. Simien and his Zydeco Experience band won the inaugural award for their album Live! Worldwide and Chubby Carrier and the Bayou Swamp Band won the most recent award for Zydeco Junkie. In the same field, the Best Americana and Best Bluegrass album categories were kept in tact, while Best Blues and Best Folk Album categories have been created to consolidate what had been two separate Traditional and Contemporary awards for each style. Best Hawaiian Music Album and Best Native American Music Album awards were also eliminated—albums in those genres will probably compete against Zydeco and Cajun albums in the new Best Regional Roots Music Album category. In other fields, many consolidations were made by removing Male/Female and Traditional/Contemporary distinctions, as well as separate Group Performance awards. In the Jazz field, for instance, the Best Contemporary Jazz Album award was removed. In the R&B field, Best Contemporary R&B Album award is no more and the Best Male and Female R&B Vocal Performance awards and the Best R&B Performance By A Duo Or Group With Vocals award were all combined into a single Best R&B Performance category. Electronic music fans can rest easy now with the knowledge that the Best Electronic/Dance Album category has been changed to Best Dance/Electronica Album. The full list of changes is available at the Grammys’ website. This is a travesty….after the hard fought battle to get a uniquely American Music recognized it is done away with after four years. Double that with the fact that the nominees were generally relegated to the pre-Grammy telecast, virtually the back of the bus status, and you have what is supposed to be the pioneering organization for music once again showing their true colors…..its all about what sells the most and not about true art! I can’t believe this. They worked so hard to get this category and now they won’t even get it out there like it should be. This is sad when they will take this category out. Well all I can say is I am proud of the music that the local musicians from my state produce and make. I will always love cajun/zydeco music. It is in my blood. I am still sad to hear this. The musicians just need to keep their heads up and keep on trucking and playing that sweet sound. You know you still have your true fans to stand beside you and back you up! What makes it even worse is the apparent randomness of their decisions…As if Bluegrass is also not a regional roots music! As shocking, sad and frustrating as this is for us locally, it is hardly a surprise given the dwindling dollars in the recorded music industry as a whole. NARAS and the RIAA surely struggle just to have members and certainly will never likely be the forces they once were. And even here in Louisiana, if it were not for the hard work of a relatively small and dedicated group of people maintaining the number of nominees needed to keep the category alive by inputting artists’ albums (what DO we call it these days? CDs? Recordings? Releases?) into the somewhat complicated NARAS nominations and voting system, CZ would have been eliminated. Kudos to the folks who accomplished getting the category in the first place and to those whose work locally kept it alive. It’s a sad day for Louisiana, but it’s likely a far sadder day at NARAS as they amputate the music that is their reason for being. NARAS did many good things for musicians and for Louisiana. At the same time they seem addicted to the glamour and glitz of pop stardom and thus their integrity is sapped with the loss of each genre. It’s sort of like watching a chain smoking diabetic lose their limbs. We just happen to be one of those appendages and there’s not much we can do. Just another reason that the Grammys are made for TV and not about the music. It’s all about who can spend the most money. How can the award have been valid for the past 4 yrs and now it no longer exists. It’s hard to believe in the Grammys when most of it is all cookie cutter crap that has been bought and paid for. very sad!